Not long ago, if you had asked me about the first thing that came to mind when I thought about Chattanooga, Tennessee, I would have answered the Chattanooga Choo Choo. 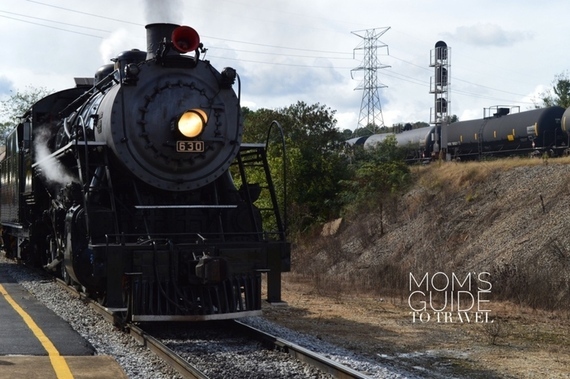 It&apos;s so iconic, that when my travel plans for Chattanooga were finally confirmed, all I could think about was old steam engines and classic black trains. I soon found out that Chattanooga is so much more. Come explore all it has to offer with me! 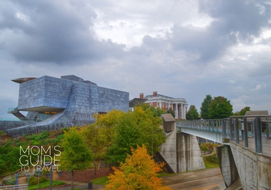 Chattanooga is a growing, vibrant city often overshadowed by neighboring Memphis and Nashville. Having been to all three, I find that Chattanooga is refreshingly unique and holds its own. I enjoyed public and private art, food, history, and beautiful outdoor attractions. My three days in Chattanooga were packed with activities. Most of my time was spent enjoying the outdoors. As a city girl, I don&apos;t really crave outdoorsy experiences, so Chattanooga&apos;s landscape took me by surprise. It was easy to see why it&apos;s become a playground for outdoor enthusiasts. Seriously, how many cities do you know of that have a climbing wall on the front face of a building? As exciting as scaling an architectural art piece may seem, I personally prefer tapping into my inner Spiderwoman under a roof, above a mat. 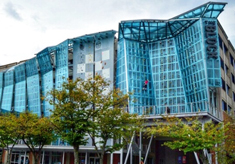 Thankfully, High Point Climbing and Fitness, where you&apos;ll find the exterior climbing wall, also offers indoor experiences of equal difficulty. The 28,000 square foot facility is one of the nation&apos;s largest gyms. Inside you&apos;ll find an auto belay area, bouldering rooms, speed climbing and more. 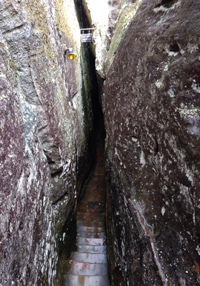 It&apos;s a perfect rainy-day attraction for individual climbers or a rock climbing family. 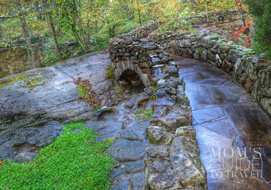 Enchanted Forests, Gnomes and Lookout Mountain High Point is just an appetizer. Driving towards Lookout Mountain, I spotted where some of the real action takes place. Menacing boulders jut out of the side of the mountain - scary to me but a welcome mat to climbers. There are few things in life of which I am certain. One of them is that you&apos;ll never catch me climbing up the side of a rock. My comfort zone extends to gently hiking up a mountain, possibly walking across boulders parallel to my feet. Walking through Rock City Gardens on my way to the peak of Lookout Mountain, I gingerly walked on uneven pathways and down steep stairs. Passing through this garden oasis, I photographed waterfalls, bridges, flora, fauna, water wheels, an enchanted forest, and gnomes. So many gnomes. Don&apos;t think for a second that only kid imaginations will be tickled by this place. I found myself daydreaming of fairy tales and a miniature enchanted garden of my own. Large boulders kiss each other in strategic places, creating astonishingly slim walkways for the nimble to maneuver. I practiced a careful Chicago two-step through one extra tight pathway called "Fat Man Squeeze." Thankfully, I only had a granola bar for breakfast. The top of Lookout Mountain offers colorful views of the Tennessee Valley below. As my eyes swept across treetops, they pause at a bright red bird house labeled "See Rock City." I squinted to see the borders of Chattanooga&apos;s six neighboring states, as advertised on the Lookout Mountain brochure. My nerves wouldn&apos;t allow me to take in the landscape from the edge of Lovers&apos; Leap, a drop-off where legend speaks of a young couple from warring tribes who leapt to their deaths. Ironically, I felt more at ease from a higher point on the mountain. Ruby Falls After I had my fill of the outdoors, I made my way to the caverns below which lead to Ruby Falls. 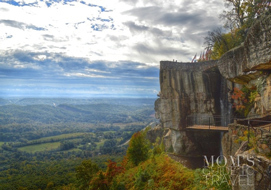 The entrance is actually a 5-minute drive from Rock City and Lookout Mountain. 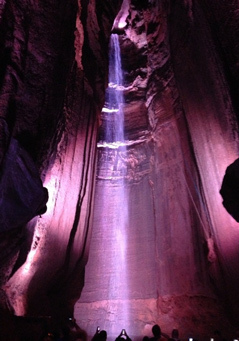 Ruby Falls is yet another attraction in Chattanooga that beckons visitors from around the world. 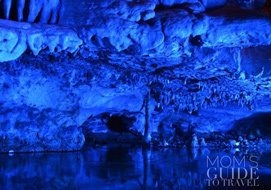 Buried 1,120 feet below the mountain, you can&apos;t help but gaze in awe at the highest underground waterfall in the United States. The mini trek to get to Ruby Falls involves a one-minute elevator ride below the earth and a half-mile walk through dimly-lit caverns. Passing by stalagmites and stalactites, mineral rich pools, and limestone, I felt like a kid on a geology field trip. This type of interactive travel experience is the best way for kids to learn. 90 minutes into any journey and both my intellectual interest and my appetite tend to peak. Luckily the Chattanooga market is just downtown, less than 20 minutes away. 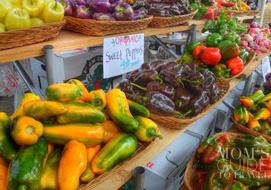 The Chattanooga Market is a regional outdoor market brimming with activity and entertainment. I had plenty of eats to choose from, including fruit and produce, kettle corn, fresh baked goods and even some Tennessee barbecue. The vibrant colors and smells at the market where a befitting end to a busy day in Chattanooga&apos;s beautiful outdoors.